You have seen media reports about the catastrophic effects an oil spill has on wildlife, the environment, and the livelihood of affected communities. The SPCC regulation was developed to prevent oil releases at facilities from polluting navigable waters of the United States. This course gives employees a general overview of SPCC requirements. Ideal learners include any employee involved in oil handling, transfer, storage, spill response or maintenance of oil equipment. The Resource Conservation Recovery Act (RCRA) places controls on the management of hazardous waste from its generation to its ultimate disposal. 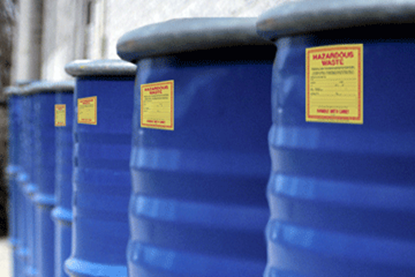 This two-part course provides you with important information on RCRA, hazardous waste and your role in staying safe if your facility or organization produces, disposes or stores hazardous waste. It also explores the actions you must take to carefully operate and maintain your facility and therefore reduce the possibility of fire, explosion and release of hazardous waste. Knowing how to use materials handling equipment properly and ergonomically can help you avoid injuries. In this course, you will learn about types of equipment and associated safe practices. You will also learn safety and health principles that you can apply to your work. This course is ideal for all employees in the construction industry. We all share the responsibility to keep our environment as healthy as we can. This course provides a general understanding of how our daily work activities can potentially alter environmental balances. By being more aware of this, we can act responsibly to protect our communities, air, water, land and ourselves. Ideal learners are all employees. Laws require us to regulate stormwater in order to reduce the pollution of rivers and lakes. Identifying sources of storm water pollution and keeping them from coming in contact with runoff is one of the best and most economical ways of protecting the quality of our waters. 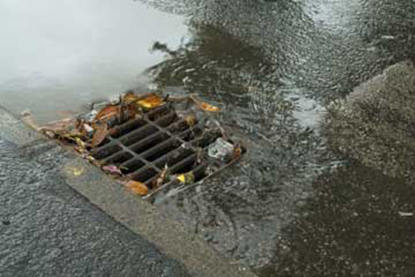 This course presents best management practices to prevent stormwater pollution.